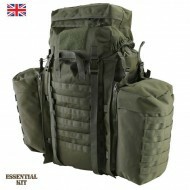 The Kombat Tactical Assault Pack in olive green is an original 90 litre UK MOD style pack with Molle.. The Kombat Tactical Assault Pack is an original 90 litre UK MOD style pack with Molle fixing webbing on the front and side pouches of the pack. 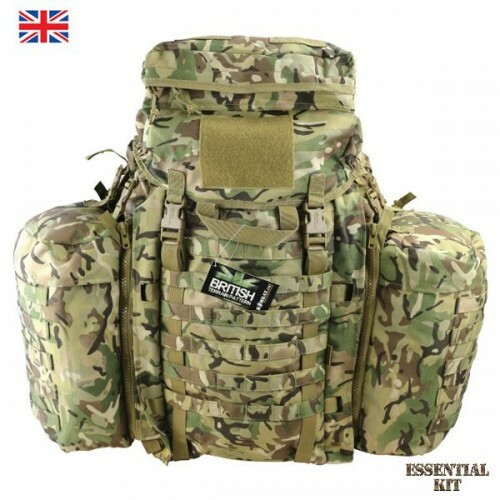 The durable 600D Cordura construction makes this an excellent hard wearing multi-purpose Bergen for general or military use. 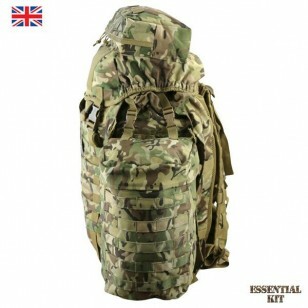 Ideal for Army Cadets, Reservists, Scouts or any other outdoor activities. 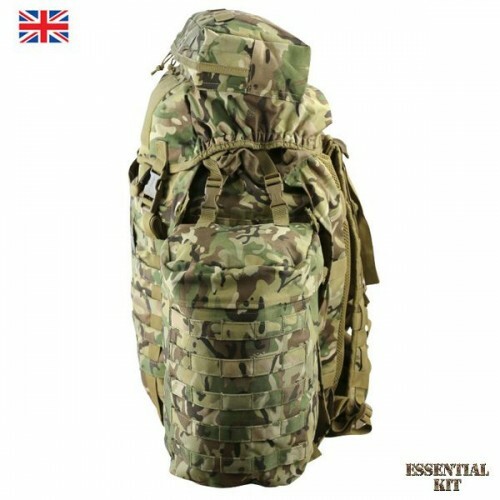 BTP camouflage has been designed to match the British Army MTP and Multicam. Large main compartment with zipped lid pocket. 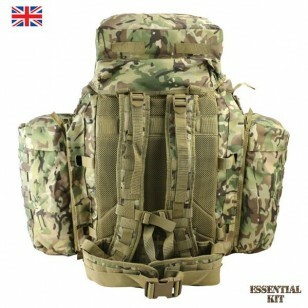 Kombat UK detachable molle side pouches. 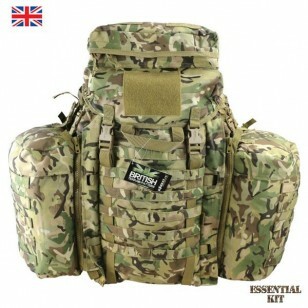 Molle fixing webbing located on side pouches. 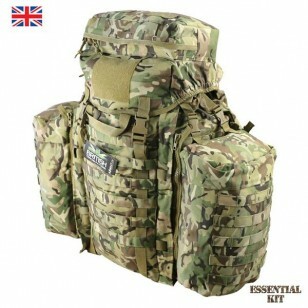 Molle platform area on the front of the pack. Padded contoured shoulder harness with adjustable chest strap. 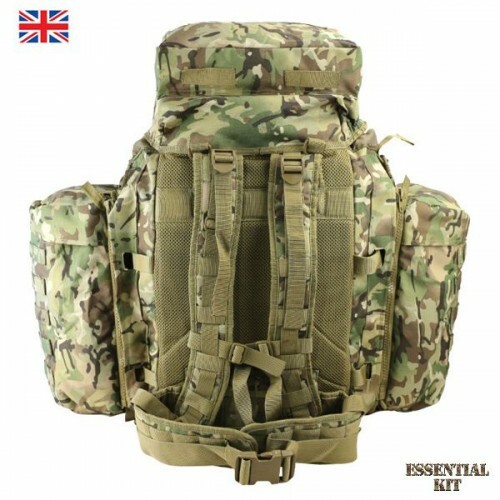 Padded adjustable waist belt with molle tabs. Vented back system for optimum comfort.